Heartwater remains a major cause of loss in cattle, sheep, goats and game animals. Heartwater is a tick borne disease, caused by the organism, E. ruminantium, characterised by a high fever, nervous system symptoms and the accumulation of liquid around the heart in the chest cavity, lungs and brain, which usually leads to the death of animals. The organism is only about 2µm (two thousandths of a millimetre) in size and is transmitted by the African Bont Tick (“bont tick”) (Amblyomma hebraeum, illustrated below) to susceptible ruminants. When an uninfected tick feeds on a sick animal, some of the heartwater organisms make their way to the tick’s intestines where they further develop. The mature stages of the tick will then transmit the organism via saliva glands to a susceptible animal. Heartwater has been, and still is, a major cause of loss in production and mortality in cattle, sheep, goats and game animals in South Africa. In areas where the disease is endemic, stock farming was practically impossible before the development of immunisation or therapy. The diagram below is an illustration of the areas across South Africa where heartwater is prevalent. The active immunisation of calves against heartwater was first described in 1941 (Neitz and Alexander, 1941), when calves under three weeks of age inoculated intravenously with heartwater infected blood showed little or no reaction, but developed a solid immunity to the disease. In the 1950’s Weiss, Haig and Alexander showed that Chlortetracycline and Oxytetracycline are effective treatments against the disease. Heartwater infected blood is inoculated intravenously and when a response commences, a Tetracycline antibiotic is intravenously or intramuscularly administered. This is usually sufficient to render animals heartwater resistant as long as they are continually exposed to re-infection which serves to maintain the immune state. If calves are inoculated before four weeks of age, only about 20% will show signs of fever but all will develop a good immunity. This immunity in calves is of a short duration and calves should be reinvested by the bont tick within the next 3 months. Sheep and goat lambs must be inoculated within the first week of birth with an administration of Tetracycline on day 10 and 12 post inoculation to suppress the disease and immunity will develop. Experience shows that Angora’s do not develop sufficient immunity and farmers in the Eastern Cape should treat animals preventatively every two weeks with Tetracycline. These methods are labour intensive and the process should be closely managed and monitored to prevent losses. AFGRI Animal Feeds has developed specific licks (protein, production and mineral) which suppress heartwater symptoms and increase immunity to prevent herd losses. 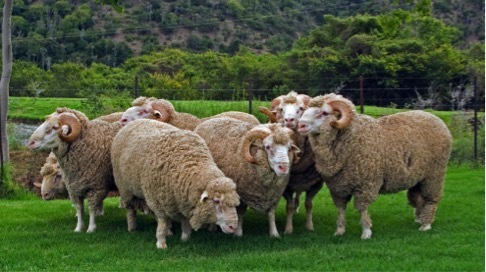 A trial conducted in the Eastern Cape with Merino lambs indicated that the control group of a 100 animals needed to be injected intramuscularly with Oxytetracycline to prevent losses every 14 days after clinical signs were first observed. However, the 100 lambs receiving a specific production lick containing ingredients to prevent heartwater, showed no signs of heartwater symptoms developing. These lambs were kept on adjacent lucerne pastures with game animals (bushbuck and kudu) gaining free access across the pastures at night. This ensured that both pastures were infected with the bont tick which spreads the disease. 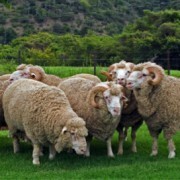 Although no production data was kept, the farmer’s response was that the animal’s growth and wool production increased. In a second trial conducted with Angora goats consisting of ewes, replacement ewe lambs and castrated males, showed that during a two month period on the feed, only two animals showed clinical signs of heartwater and needed to be treated with an injection of Oxytetracycline. A constant and regular intake of the lick plays a major preventative role, however monitoring is required to ensure losses do not occur. The intake of the lick will be determined by the quality and quantity of the veld grazed. Daily monitoring of the lick is required to determine either under or over consumption. AFGRI Animal Feeds technical advisors have the necessary information and expertise to ensure correct recommendations are made. By using these specialised licks, the loss in production and animals can be limited in an easy and effective manner without major labour cost. It further provides the opportunity to introduce animals into heartwater areas without losses. This technology, if applied correctly, could lead to major changes in farming practises and brings about limitations to the disease.